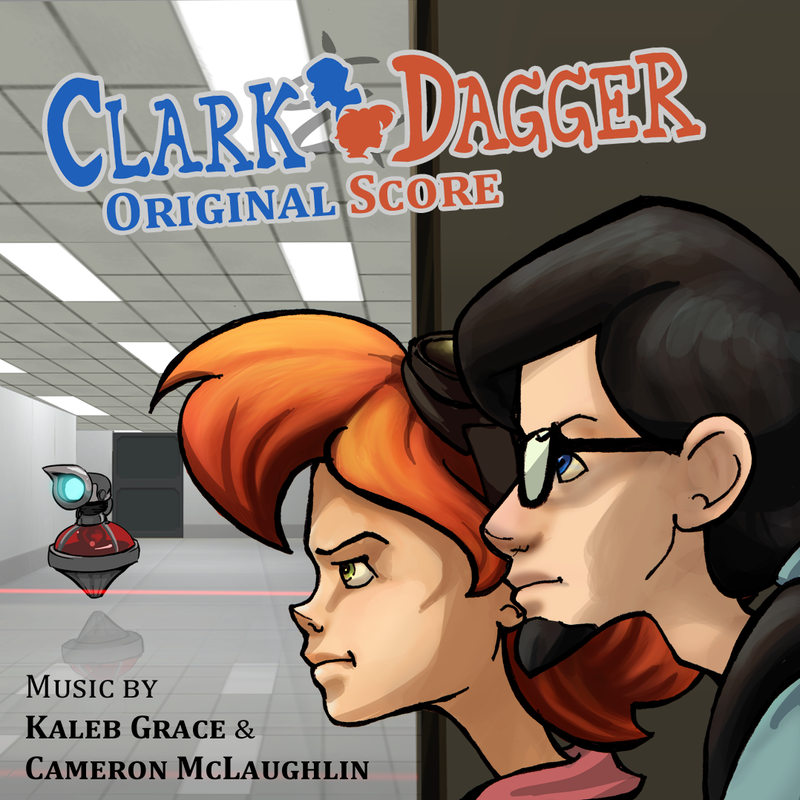 I got involved with the “Spy & Hacker” project pitched by Brody Brooks to the Game Development Club at Cogswell Polytechnical College, which would later be called Clark & Dagger. I was in charge of the game’s audio and later brought on Cameron McLaughlin to co-compose the music and Miles Philippe to help with sound effects. It was a challenge to write something that conformed specifically to the vision of the game’s director (Brody), but it seems we were successful in the end. That said, I take full responsibility for the quality of the mixing (or lack thereof). This game was to be submitted into the IGF student competition a few months back, so we had a deadline, and we were working on the arrangement aspects pretty much up to the final hour. There was no time for tweaks or polish; neither back then nor over the following few months (or I could have just been lazy). Cameron wasn’t hot on releasing such raw tracks, but he kindly let me have my way. “Spy’s Ambience” is the main theme (bgm1), but came about partly by accident. When I started writing the music for this game, Brody had not heard any of my past work. Cameron came aboard and we started work on Digital Ghost, which was planned to be the main theme. While Brody provided a clear idea of the style he wanted, it was hard to reconcile that with our own skill levels and personal styles. Eventually I decided to have him listen to my past works so he could better understand what I can do. He listened to Space Ambience from ICHYP? and had a “Eureka!” moment. Long story short, he had Cameron add percussion and additional arrangement, and there you have it! I feel the track title fits the female spy character, Dagger. “Digital Ghost” is the tutorial music (bgm2). This was originally planned to be the main theme, and is what we spent over a month of our time working on. After Spy’s Ambience was created, it seemed we would no longer need this track, but thankfully it found a home in the tutorial. Afterwards, I performed some additional arrangement on the last day to more closely match the instrumentation of Spy’s Ambience. The title of this track is named after a synth preset we had used in an older version of this track, but is no longer to be found~ Also, I feel it fits the male hacker character, Clark. The two other tracks (“C&D Mission Fail” and “C&D Mission Complete”) are merely short jingles. All music by Kaleb Grace & Cameron McLaughlin. 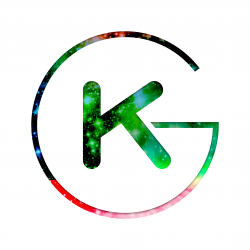 – Originally composed by Kaleb Grace as “Space Ambience” from I Can Has Your Planet? All track names by Kaleb Grace. Cover art shooped by Kaleb Grace using assets created by one or more of the following people: Amelia Davis, Gaz DeWolfe, Cassandra Matteis, Brody Brooks, and Jessica Bower. In particular, Amelia Davis was responsible for the character designs, and possibly more. Cameron, for working with me on this project and showing me some cool new things (such as the Hang “drum”, which sadly didn’t make it into the soundtrack due to stylistic reasons). Brody, for directing/producing the game and hosting development meetings at his and Tobiah’s house. If it weren’t for Brody, the time I spent writing this music probably would have gone into watching more episodes of 24. Miles, for doing sound effects… so I didn’t have to! The Clark & Dagger team (Forrest Spade, Aaron Weingarten, and everyone else I already mentioned), Game Dev Club, and Cogswell College. Word up! Clark & Dagger Original Score by Kaleb Grace & Cameron McLaughlin is licensed under a Creative Commons Attribution-NonCommercial-ShareAlike 3.0 Unported License.